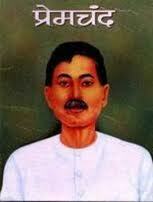 Today 5 October is Munsi Prem Chand Death Anniversary. Munsi Prem Chand's Born in Banaras 1880.Munsi Prem Chand ic Great Novelcar.His real name was Dhanpat Rai but he is famous with his pen name of Premchand or Munshi Premchand. He was born in Pandepur , a village near Banaras (now Varanasi). His father Mushi Ajaib Lal was a clerk in the Postal Department. 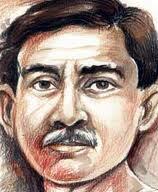 Premchand was just eight years old when his mother died. His grand-mother took the responsiblity of raising him, but she died soon after that. He was then fifteen. In 1919, while he was a teacher at Gorakhpur, he passed his B.A., with English, Persian and History. He had a second marriage with Shivarani Devi, a child-widow, who wrote a book on him, ‘Premchand Gharmein' after his death. 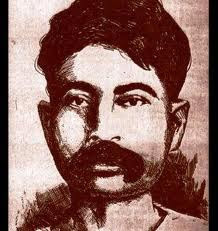 Premchand was born on 31 July 1880 in a village near Varanasi in India to Munshi Ajaib Lal, a clerk in the post office. His parents died when he was still very young. His mother died when he was no more than seven and his father passed away when Premchand was fifteen or sixteen, and still a student. After loosing his parents, Premchand became responsible for his step mother and his siblings born from her. Premchand was married to a girl in an arranged child marriage-as then was the custom- but the marriage proved to be painful for him and he left her in 1899. After that Premchand married a child widow Shivrani Devi in 1906. After leaving his village in 1899, Premchand took up a job of a schoolmaster at a mission school in Chunar, another remote area. The salary was minimal and he was the only earning member in the family. With that negligible amount he had to support his wife, step mother, his siblings and himself. The condition became even worse when he was fired from the job and had to return to his village. After some efforts, he succeeded in getting a job of assistant master at a government school in Varanasi. He was transferred to a town near Allahabad, where he became the headmaster of a school in year 1902. After two years, he was sent to Kanpur as the deputy sub-inspector of schools. It was in Allahabad, where he first started writing seriously. Premchand started his literary career as a freelancer in Urdu and wrote several short stories in the language. His first novella, Asrar e Ma’abid was first published in Awaz-e-Khalq, an Urdu Weekly. Soon after, he became associated with an Urdu magazine Zamana, where he wrote columns on national and international events. He also wrote a collection of short stories in Urdu which became known as Soz-e-Vatan. It was then that his career as a writer began to take shape and he became a reputed part of the literary world of Kanpur. His literary work in Urdu gained him a reputation of a journalist with social aim, rather than a mere entertainer. 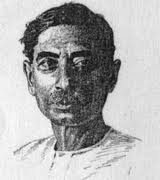 Premchand was born in the British India and the Indian Independence movement was at its peak when he started his writing career. His early writings were largely influenced by the nationwide movement in which he often expressed his support to the fight for freedom. In 1910, his collection of Soz-e-Watan was labeled as rebellious on account of its message which provoked Indians to fight for the nation. An agonized British government confiscated the book and all copies of Soz-e-Watan were burnt or destroyed. 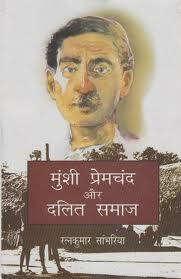 Premchand, who was writing under the name of Nawabrai at that time, began to use Premchand as his pen name. The prolific writer wrote more than 300 stories, novels and a number of plays. The writer is credited with the introducing realism into the Hindi literature when it only consisted of the fantasy stories, fairy tales and religious work. His creations are compiled and published as Maansarovar. 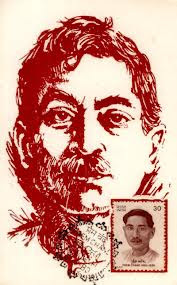 In 1921, Premchand resigned from his job as his support to the Indian independence movement and Gandhi’s Swadeshi movement. He took up a job in a printing press and became the proprietor of the press. During that time he also worked as the editor of Hindi and Urdu journals to support himself. It was miserable to see that though he had established himself as a great writer and novelist, he failed to earn money and led a life of struggle amid poverty and financial crisis. 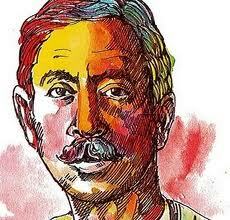 Premchand believed that literature is a powerful medium to educate people and it showed in his writings. In his later life, he continued to write fictions with social purpose and social criticism. Now a revered author and thinker, he presided over conferences, literature seminars and received huge applause. He chaired the first All-India conference of the Indian Progressive Writer’s Association in year 1936. However, in his personal life he was still struggling to make both ends meet. He also suffered from health problem particularly ‘abdominal problems’. Despite ever difficulty and challenges, Premchand did not abandon writing and embarked on completing his last novel Mangalsootra. The novel still remains incomplete as he died in the middle of it on 8 October 1936.